Even though chiropractic excels in wellness care, it is becoming more common for people to visit chiropractors to treat a variety of different kinds of pain. Because of this, chiropractic adjustments provide many benefits to people and patients who suffer from a wide variety of conditions like arthritis. In today’s blog, we’ll explore how chiropractic can help patients who suffer from arthritis and give you additional suggestions on how to alleviate the pain that’s associated with it. Regular visits to an Overland Park Chiropractor can not only restore health throughout the body but also help alleviate back pain and other symptoms associated with an improperly aligned spinal column. They can also work with their patients to plan exercise routines and alterations in diet to assist management of inflammation and pain. Most insurance carriers cover visits to a chiropractor on at least some level. For example, my husband and I are in-network with Blue Cross Blue Shield, United Health Care, Medicare, and Cigna… just to name a few! Diagnosing arthritis involves a complete and thorough examination. If a chiropractor feels the need to co-manage the case, a medical work-up by a rheumatologist may be recommended. At Adjust Your Health, we are known for our ability to work with your MD. We have been successfully working with MDs in KC since 2008. This can include radiology (x-ray) or an MRI, urine and blood analysis and physical examinations. With an inflammatory disease like arthritis, the best results are achieved from attacking it at all angles. My patients know I famously call this the “village” approach! 🙂 This means working with your chiropractor and rheumatologist to combine treatments, if necessary. In addition to their care, a healthy diet and active exercise regime will help move you in the right direction toward a healthier outcome. 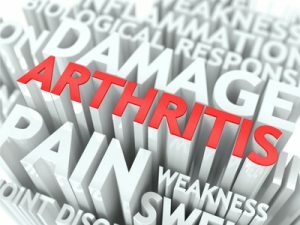 If you or a loved one are suffering with arthritis, don’t hesitate to give us a call today: 913-681-7757. We’re here to help in any way we can!